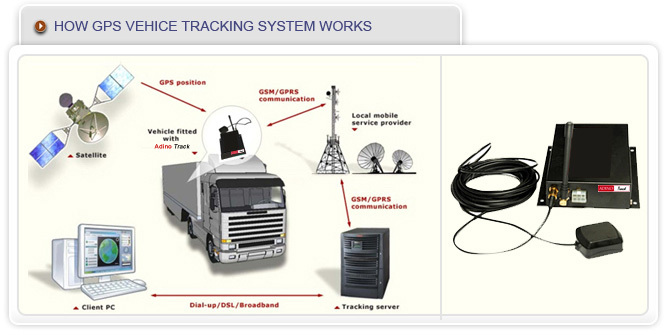 AdinoTrack's vehicle tracking system works on GPS/GSM/GPRS. An AdinoTrack vehicle tracking unit is fitted in the vehicle which is linked to the server using GPRS. The customer can login to the web account & view all movements of the vehicle in real time.